Whether it's a playdate or cuddle time, these cosy jersey bottoms have it covered with all-day comfort, whatever your little one gets up to. 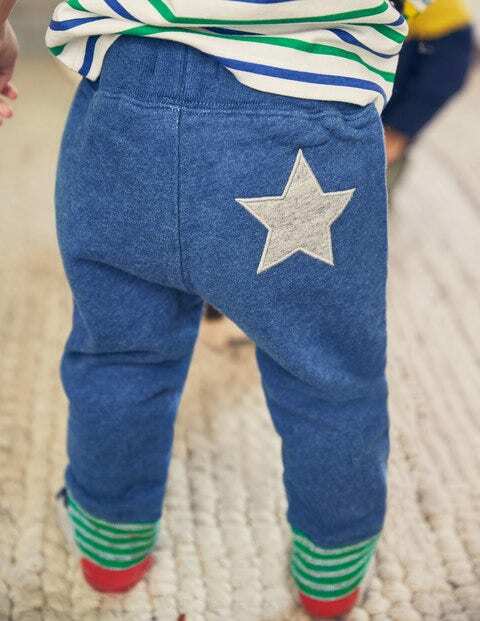 Ribbed cuffs and a colourful drawstring keep these sueded joggers fitting snugly on even the most energetic wrigglers and the star-shaped back appliqués add an adorable touch. Match with a favourite appliqué T-shirt for easy everyday dressing.